The slithering creatures which we know as snakes are one of the oldest species of the world. There are many fossils that have been found and they all dated back to 160 million years. It means that the snakes had many encounters with the dinosaurs and who knows how many of each side was killed. Most of the snakes smell to locate their prey and this process turns out to be the best one. The tongue is the other part of the body which is used to locate the soon to be victims. There are some facts about the snakes which most of the people are unaware of completely. It is known to very few people that there are about 8000 species of snakes that slither our planet earth currently. They are found in almost all parts of the world and some of these are very much toxic. There are many problems which these species can present. For instance, the dens of Manitoba are full of snakes in the summer. Most of the reptiles are known to be cold blooded. The heating mechanism of the reptiles is such that they can get it from the sources that are around them. The humans can make sure that their body temperature remains constant while the reptiles lack this ability completely. It is to be noted that most of the classes of the snakes are not poisonous at all. It is just the word snake that would freeze people to death. The fact of the matter is that even the non-venomous retaliate if they are provoked. The snakes of any class are carnivorous of great level. It is because of the fact that they eat lizards and mice. There is nosinglespecies of snakes in the world that is omnivorous or herbivorous. Most of the people are of the view that the snakes are slimy and they slip out of hands. This is a huge misconception which needs correction. The skin of the snakes is very smooth and sometimes dry to the touch. The eyes of the snakes have no lids at all. They don’t blink like humans at all. There is a protective layering over the eye that protects it from threats. 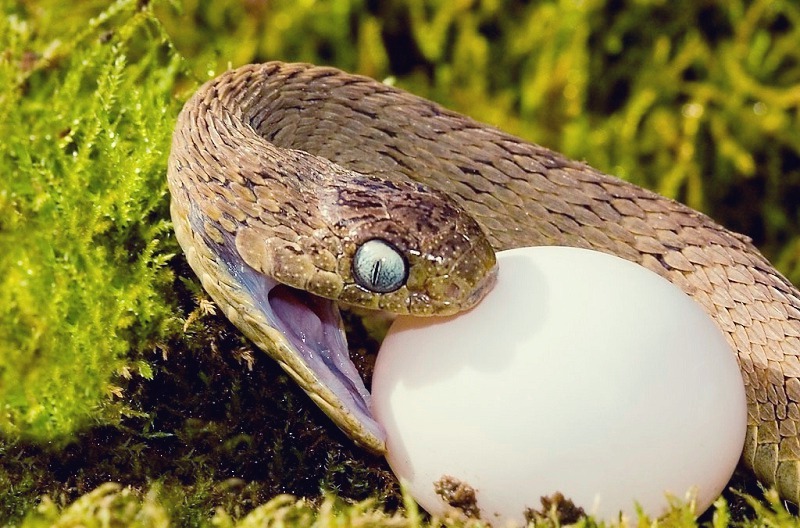 There are many egg-eating snakes around the world and the most common ones are found in Africa. The best part of these snakes is that they don’t pose any kind of threat to humans at all. Constrictors are the most common types of snakes that have been spotted with legs. There are small base structures which turned out to be legs once they were closely examined. Inland Taipan is the deadliest snake in the world. Though there have been very few encounters it the ones which happened proved to be fatal for the humans. The Anaconda and Python are two of the largest species of snakes in the world. The appearance is very gross and will send a chill down your spine for sure. Both are found in the Amazon rain forests.